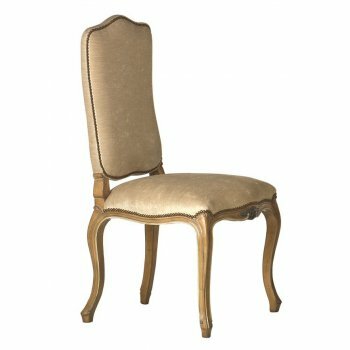 The AM Classic Luxury Upholstered Dining Chair combines lavish comfort and eloquent style in one solid and sturdy piece of furniture. 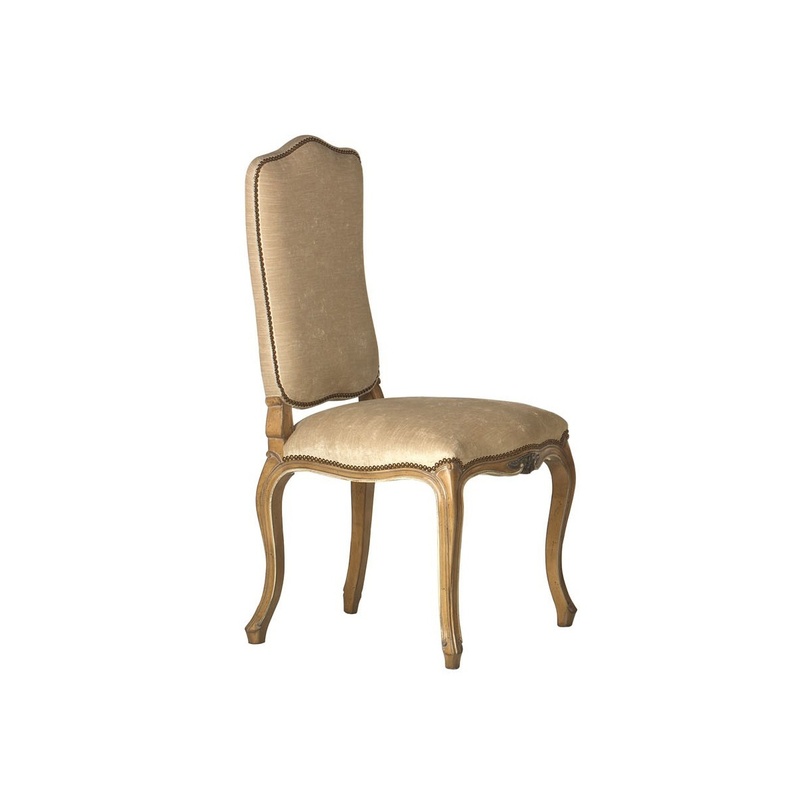 Finished in impressive champagne Chenille upholstery the French style Dining Chair will look sublime in any decor setting. 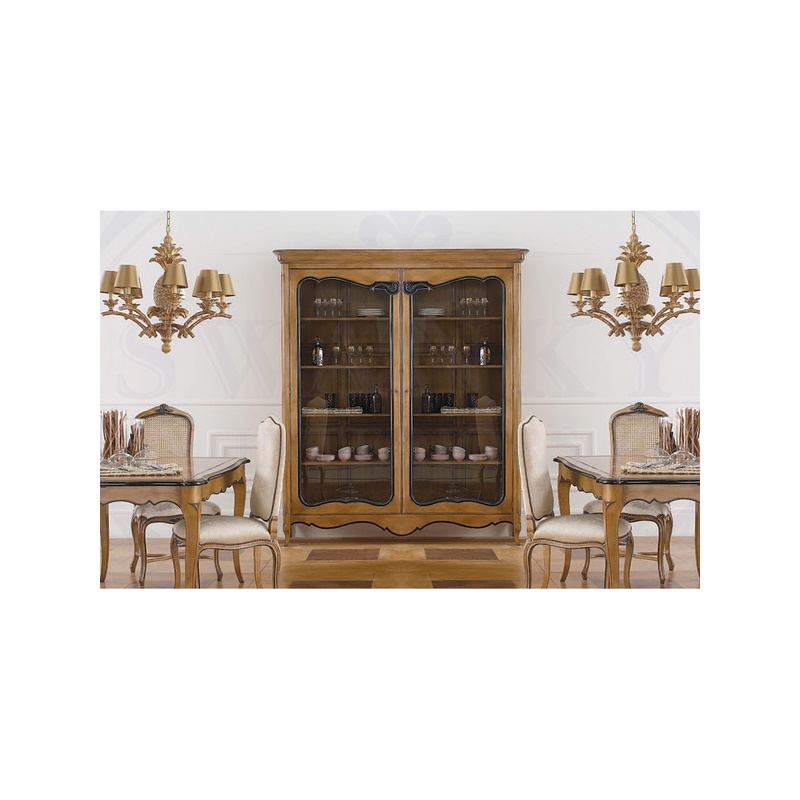 This elegant chair is fitted with cabriole cherry wood legs, providing a high degree of stability and robustness. The French dining chair features a shapely upholstered backrest, studding and an antique amber finish with a black painted detailing. Suitable for any dining room, the beautiful chair can also be used as a stylish Occasional chair or Side Chair elsewhere throughout the home such as in the lounge, hall or bedroom. 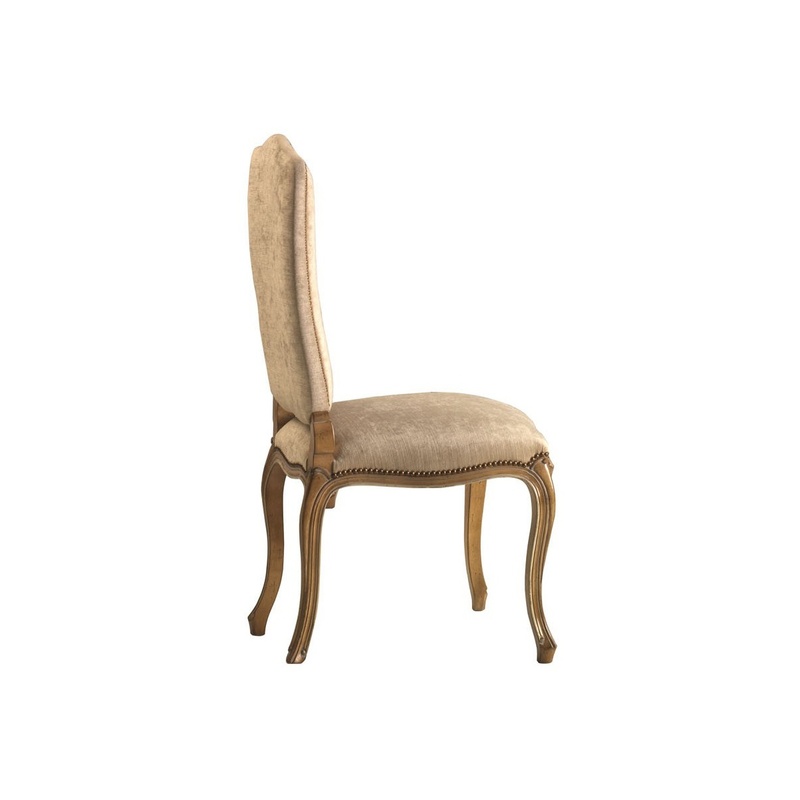 This side chair has been manufactured to very high standards, ensuring dependability and a long lifespan. 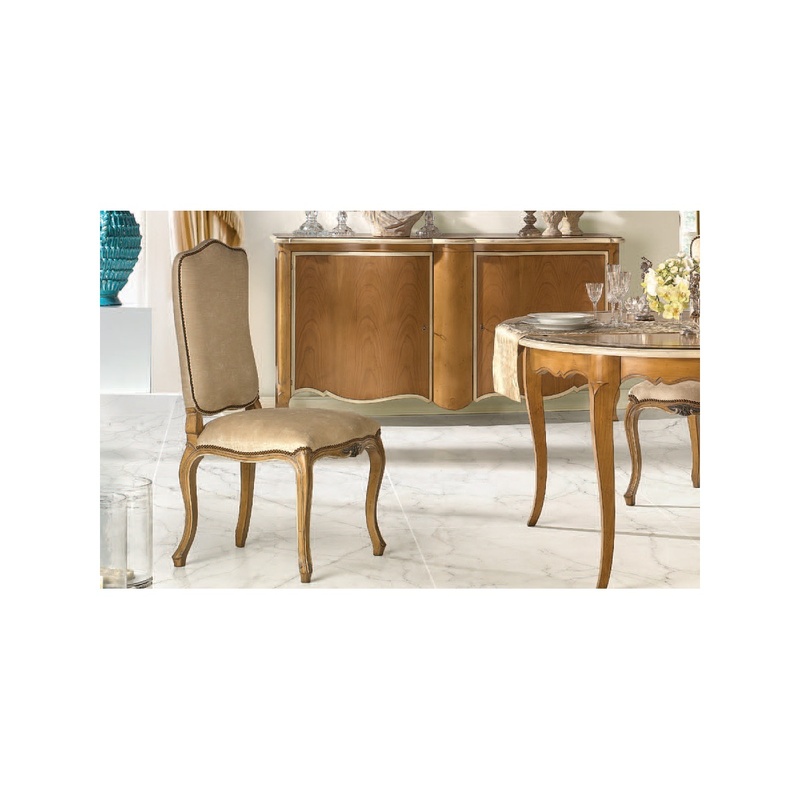 A set of these classy, luxury dining chairs will undoubtedly transform your dining room! 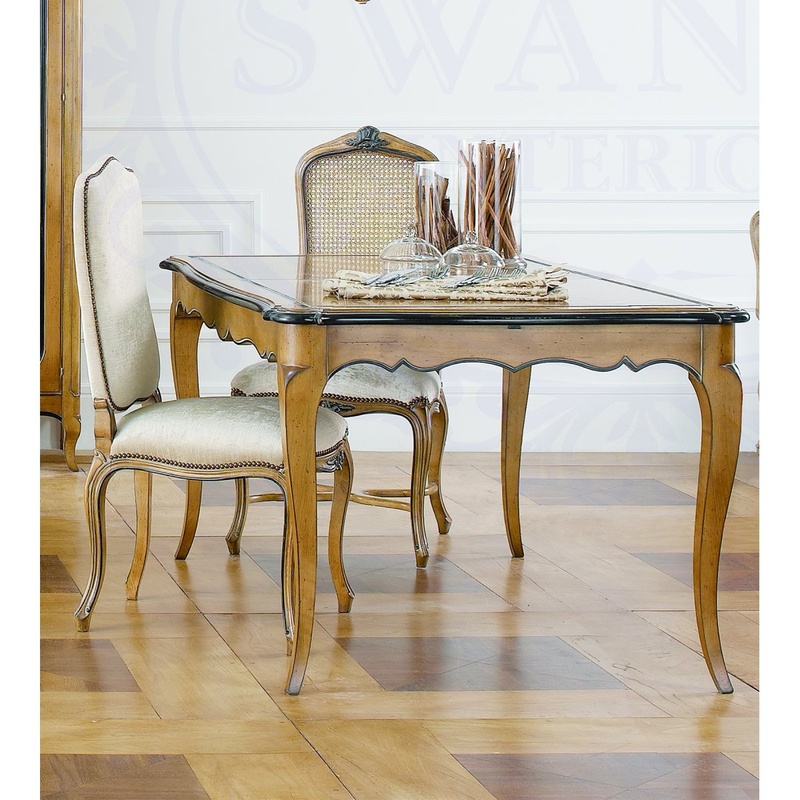 Matching French dining table available separately.